Fifth-generation members of the Ritter family share their creative and cost-effective strategies for reaching the newest family members. The Ritter family has been in business together for five generations, with our sixth generation now blossoming. The longevity of this business is a great source of pride but also presents challenges related to educating and engaging our newest family members. With only one family member still working in the business and households spread across the United States, communicating our legacy is a less-than-organic process. Distance, time commitments and dedication to individual careers make it difficult to bring the newest Ritters together. 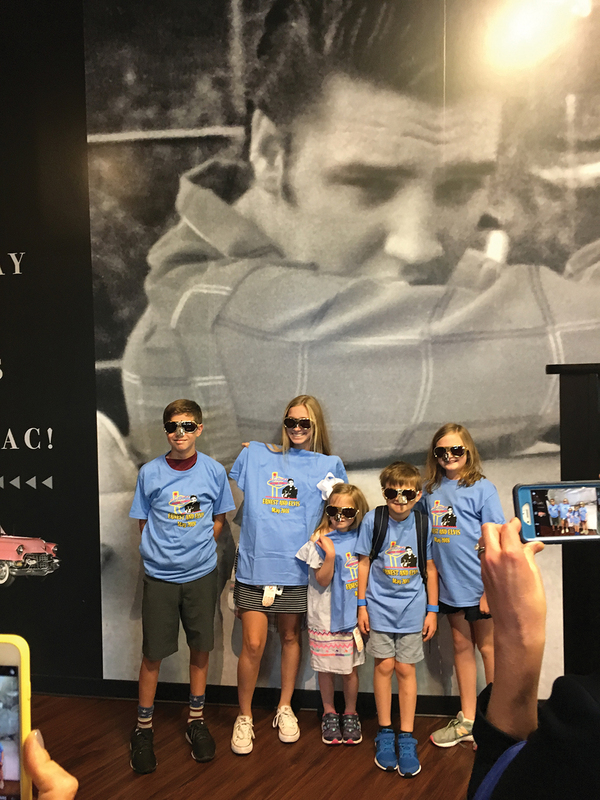 To address this challenge, the Ritter Family Council developed a Next Generation Committee to connect young family members and to teach them about the legacy of the founder, Ernest Ritter. The committee’s efforts have not required grand gestures and large budgets. Through our intentional efforts to educate and build connections among the members of our youngest generation, we have also been able to engage other family members who are interested in our family history and business. 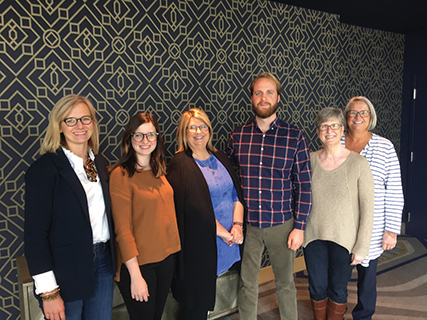 The Ritter Family Council developed the Next Generation Committee with the realization that the time and attention needed for next-generation development should come from a small and dedicated group of family members. Parents, educators and other creative family members interested in engaging the youngest Ritters serve on the committee. At the outset, we discussed hands-on experiences, such as internships or family camps, for the next-generation members. However, the investment of time and money that would have been required made these ideas daunting and a difficult place to start. Eventually, the committee decided to reach these young family members in a more cost-effective way. The committee planned and sent “Ritter packages,” a small gift, with a theme centered on the family history, that was fun to receive. While we all agreed that the work should evolve beyond those simple materials, our initial efforts facilitated a start to Ritter kids knowing family history, feeling connected to the larger family and learning about the family business. 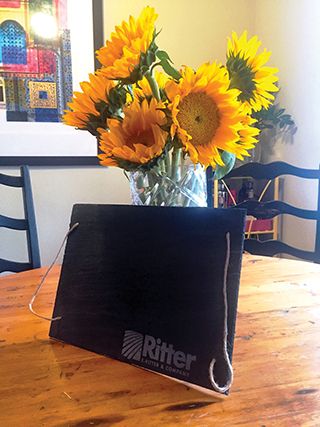 In agreement to “start small,” the Next Generation Committee began designing the Ritter packages. The committee was first tasked with answering questions like: How often will we send these? What is our budget? How do we send something that appeals to the youngest and oldest? What will we include in each package? The answers to these questions evolved through initial conversations. The committee agreed to a biannual mailing, sent in the summer and during the winter holiday season. We established a modest budget per child, recognizing that a big piece of that budget would be taken up by shipping costs. When considering content, the committee agreed that each package would focus on a family story and introduce an important family member. A small, themed gift would be included. Considering the age ranges of Ritter children, the committee also accepted that we would need to create separate gifts for elementary-school-aged kids and adolescent family members. A collective story offers each person in a group an immediate commonality with other group members. In a family business, that collective story is the family’s history. Imparting family and business history should be intentional; preserving both family and business history deserves time and respect. Fortunately, several third- and fourth-generation Ritter family members dedicated themselves to preserving family history. These family members invested a great deal of time and energy into gathering old pictures, writings and simple recollections. With the help of a hired author, those individual pieces of history were developed into a book, which became an invaluable reference. This book has been a great resource for our Next Generation Committee, which has used its stories and pictures as ­inspiration. 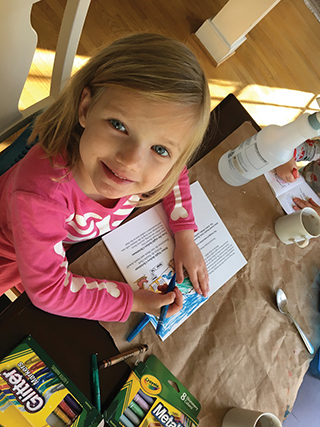 For the youngest children, we communicated history with a series of coloring pages depicting images of what life would have been like at the time of our company’s founding in Marked Tree, Ark. Alongside those coloring pages, we’ve adapted portions of our history in the forms of short, playful poems and readings. A short narrative accompanies each gift for the older next-generation family members. These stories are less daunting to read than the family history book. At a recent shareholder meeting, history was introduced through “Family Jeopardy,” a game that presented history and business knowledge in a fun, engaging way. The committee also plans to present a history panel at a future family event. The panel would include multiple members of the third and fourth generations, with opportunities for all family members to ask questions and share stories. With the goal of preserving the past and sharing the present, the Next Generation Committee develops a theme for each mailing based on relevant portions of our history. One recent mailing highlighted the “wild” beginnings of our company and some of the wildlife that surrounded the family land. Along with a poem and coloring page, kids received plastic bugs, fans (for that Arkansas summer heat) and seed kits that represented both the agricultural beginnings of the business and the new growth in Ritter agriculture. For a recent holiday mailing, kids learned about a housing development started by our founder where all the houses were painted yellow. We sent each child a gingerbread house with yellow food coloring so they could make their own yellow house. The family enjoyed pictures of the yellow houses on social media from all over the country. It can be hard to keep up with changing interests and trends among teenagers, but when you don’t know, ask! Instead of relying on our own assumptions, we brought our older sixth-generation members into the fold by asking what kind of content they would like to see in the future. Getting feedback from the teenagers helped us to create content they actually wanted to see and to involve them on a deeper level. As a result, we developed a short YouTube series highlighting what some Ritter employees do on a daily basis. What started as an attempt to engage some of our sixth-generation members turned into a project that engaged our family, our employees and even our employees’ families. Creative and fun ideas for the youngest generation are key for next-generation planning, and the Next Generation Committee wanted parents to be partners in introducing the business to their children. While receiving a box of goodies is fun and exciting, the Next Generation Committee wants to make sure parents know what to say when kids ask, “Where did this come from?” To better prepare Ritter parents, each box includes a short letter addressed to them with a brief summary of the family history that the mailing represents. Parents are also encouraged to share on our private social media page ways their children are enjoying the educational package. In addition to reaching families through the mailing, the Next Generation Committee facilitates face-to-face time with the youngest Ritters. This geographically dispersed group of first, second and third cousins often spends little to no time together, so another form of outreach centers on the annual family and shareholder meeting. While all family shareholders are always invited, the Next Generation Committee decided to take the invitation a step further. We contact parents four to six months before the meeting to ask how we can make it easier for their families to attend. Options have included providing a sitter during meetings, supplementing travel costs and looking for accommodations with a small kitchen for families dealing with allergies. While the next generation has never met as a full group, the committee continues to hope that accommodations for families can facilitate this goal. Even though the Next Generation Committee was designed to educate and engage the youngest rising generation members, we realized we were missing an entire category of people who needed indoctrination: married-ins (or “outlaws,” as we fondly call them). For married-ins, the entire concept of a family business and family council may sound odd, intimidating or even downright cultish. But at the same time, we consider those married-ins bona fide members of the family. As such, the committee wanted to give them an official welcome from the larger family, provide a digestible amount of information about us and make sure they knew their participation was welcome. This process is now a regular duty of the Next Generation Committee. Each newlywed couple receives a “Ritter Starter Pack,” a mailing that includes a small gift, a copy of our family history book, a family tree and some information about ways to get involved if they so choose. The Ritter family uses the challenges of engaging the next generation to remind ourselves of both the legacy and the future of the family business. Our Next Generation Committee was initially formed to educate and engage the youngest members of our family. We found, however, that our efforts extend beyond our youngest family members. Committee members use their talents to learn and creatively share the history of the family and business. Parents of the youngest members have become partners in teaching the legacy of our founder. And the committee has extended a welcome not just to Ritter children, but also to Ritter spouses. What started as a way to involve a targeted group of family members has now turned into a sustainability practice that engages family members in the sixth generation and beyond. Katy Wilder Schaaf, Ph.D., is director of development and engagement and Natalie Clark and James Arnold are family council members at E. Ritter & Co. All three authors are fifth-generation owners of the company.